Tahlequah, the mother orca whale whose plight captivated people around the world, is no longer carrying her calf. 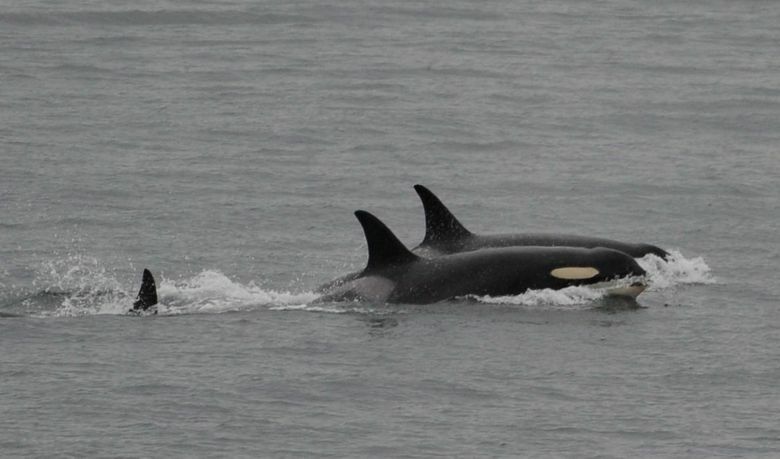 Tahlequah the mother orca is no longer carrying her dead calf. J35, also known as Tahlequah, is part of the critically endangered southern-resident killer-whale population. Balcomb said J35 probably has lost two other offspring since giving birth to a male calf in 2010. J35 showed no signs of “peanut head,” a condition that betrays malnutrition in an orca, as cranium bones begin to show. “She’s been eating,” Balcomb said. People around the world were moved by the plight of the southern residents as Tahlequah carried her dead baby, a female, day after day. Another member of the population, a 4 ½ year-old known as J50, also is ailing. Biologists were working over the weekend to monitor her condition. The Lummi Nation also is standing by to feed J50 live salmon, possibly as soon as Sunday. A veterinary review of J50 on Thursday night encouraged veterinarians and biologists who said her condition is better than they expected. But she remains terribly thin and severely malnourished. Lack of food also has been linked to the southern residents’ failure for three years now to produce offspring. It is possible that rather than Tahlequah deciding to drop the baby, it simply finally fell apart. When the calf was sighted last Thursday, it was beginning to deteriorate. Tahlequah had emphatically clung to the calf, diving deeply to retrieve the calf each time it slid from her head. Biologists tracking her worried she might not be getting anything to eat, and might also be slipping into danger. At 20, Tahlequah is an extraordinarily valuable member of the critically-endangered southern-resident clan, potentially with years of reproductive potential ahead of her. If she can get enough to eat. 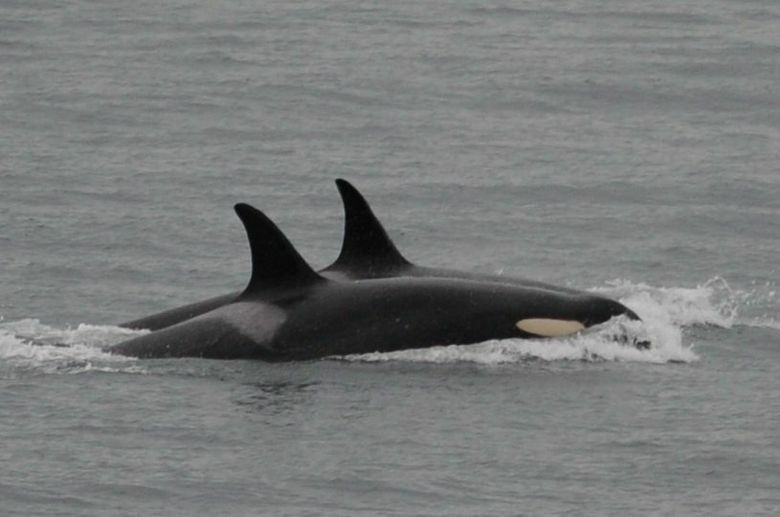 Scientific research has shown that at least three problems are causing the decline of the southern-resident clan, in the J, K, and L pods of orca whales. Vessel noise interrupts their foraging behavior. Toxins are released from their blubber when they burn their fat because they are hungry. And malnutrition in a top predator that needs to swim 75 miles a day is a devastating blow. Hunger makes their other problems worse. Tahlequah’s behavior was not unusual. Orcas, dolphins and other mammals, including gorillas, are known to carry their deceased youngin what is widely understood by scientists to be an expression of grief. But Tahlequah’s witness was extraordinary in its duration — unprecedented among documented examples. Sheila Thornton, lead killer-whale biologist for Fisheries and Oceans Canada, said strong social bonds between the families of orcas drive much of their behavior. The southern residents share food, a common language, a culture of eating only fish and an ecological knowledge of where to find it in their home range. Today, with only 75 members left in the southern-resident clan, the question is what now will be done to save them from extinction.